Don't Stress Over Your Inventory. Let Us Help You Make Life Easier! Inventory I.Q. LLC. was born of Hinkle Pharmacy, located in Bessemer, Alabama. We have mastered the art of combining the superior care independent pharmacies provide with the logistical concepts of inventory control to maximize pharmacy performance. Hinkle Pharmacy and Inventory I.Q. are proud members of NCPA, APCI, APA, PCCA, and use the Rx30 pharmacy system as our software vendor. You’ll find our presence in many social media pharmacy related groups, live continuing education presentations, and Inventory I.Q. exhibits at many pharmacy conventions annually. Through our innovative inventory forecasting system, we are able to reduce excess inventory without sacrificing sales! We actually decrease number of prescriptions owed by accurately stocking for the needs of our patients. On average, we save our new customers over $61,236.12 the first year! That cash flow can be reinvested into your business to further increase revenue and business growth. Who wouldn’t want that?! To ensure inventory quantities & availability are continuously updated, first, we must count and input all of the current drug information. Once you’re on our system, we’ll make sure your inventory issues are minimal and quickly resolved. Have questions? We have answers! With a quick phone call, we can address any concern you have about your inventory system. Stop guessing and start using our inventory systems to manage the volume of medications you keep in stock. "In today’s margins every owner has to manage all aspects of his business to remain profitable. Inventory is our biggest expense so it makes sense to stay on top of it. With Inventory IQ I have a better sense that my inventory levels are where they need to be based on my store and that should help my bottom line." Making Inventory Smarter, Faster, and More Efficient. 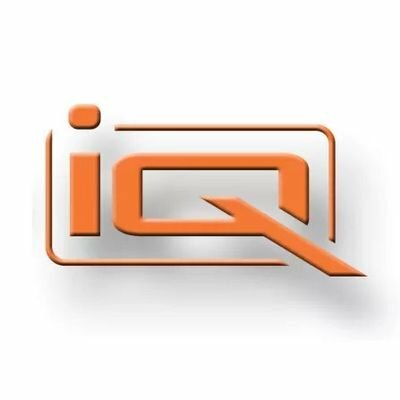 Inv iQ provides customized solutions for all inventory related needs, from perpetual inventory installations, management, consulting, & annual inventory counts. If you need more information about how our system can save you money, or are ready to learn more about how Inventory IQ is behind successful pharmacies, please fill out the contact form. At Inventory IQ we value communication, it is how we build successful partnerships and develop systems that improves profitability, enhance customer service, and increase patent safety. We will reach out as soon as possible.